o invention, no scientific discovery, no work of art, no human endeavor happens in an historical vacuum. There are always other factors -- cultural, political, personal -- that influence the outcome of a single event. 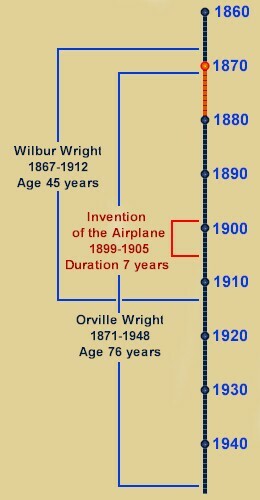 So it was with the invention of the airplane. 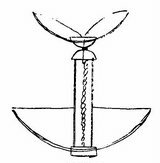 When Wilbur and Orville were children, the abacus was the most advanced mathematical aid, influenza was an often-fatal disease, and the cannon was the most feared weapon of war. By the time Orville died, the first computers were just being built, antibiotics had begun to wipe out disease, and the atomic bomb made war unthinkable. Many of these advances influenced the development of the airplane -- and the airplane, in turn, influenced further advances. 1870 The U.S. Weather Bureau issues its first predictions. 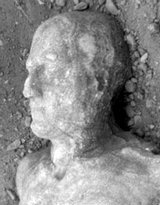 The Cardiff Giant, supposedly discovered in New York, is exposed as a fake. 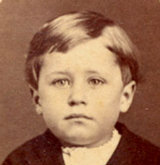 1871 Orville Wright is born to Milton and Susan Wright in their newly-built home at 7 Hawthorn Street in Dayton, Ohio. 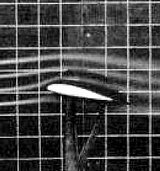 Francis Herbert Wenham and John Browning, England, invent the wind tunnel and prove that cambered wings produce more lift than other shapes. 1872 Susan B. Anthony is arrested for voting and Yellowstone becomes the first U.S. national park. 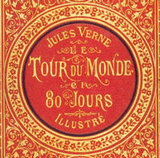 1873 Jules Verne publishes Around the World in Eighty Days, an immensely popular science fiction story which includes aerial transportation. 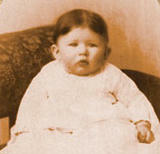 1874 Katharine Wright is born at 7 Hawthorn Street on Orville's birthday. Of the five Wright children, she is the only daughter. Felix Du Temple makes the first recorded — but unsuccessful — attempt at powered flight. 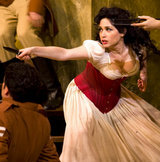 1875 Bizet's opera Carmen premieres in Paris. The U.S. passes the first Civil Rights Act forbidding segregation, but it is struck down by the Supreme Court several years later. 1876 Alexander Graham Bell invents the telephone and Lt. Colonel George Custer makes his last stand against the Sioux at Little Bighorn. 1877 Milton Wright is elected Bishop of the United Brethren churches west of the Mississippi River and east of the Rocky Mountains. He moves his family to Cedar Rapids, Iowa. Nikolaus Otto invents the four-cycle internal combustion engine and Thomas Edison invents the phonograph. 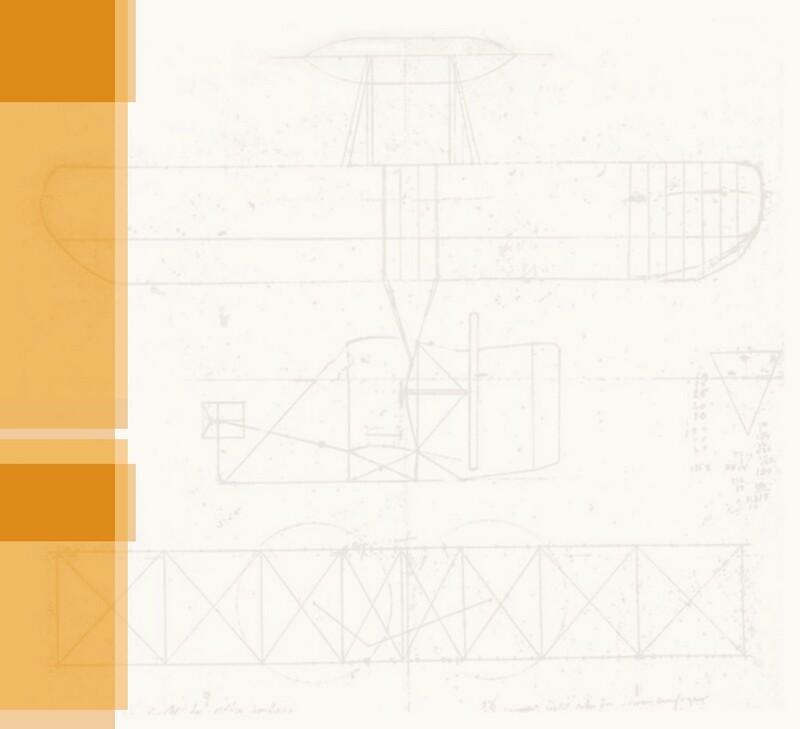 1878 Wright brothers build their first aircraft, a rubber-band powered helicopter they call a "bat." A. 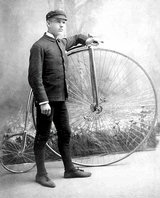 A. Pope manufactures the first bicycles in America. The Columbia Hi-Wheeler is his most popular model; Wilbur Wright later owns one of these. 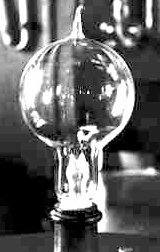 1879 Thomas Edison invents the first practical incandescent light bulb and demonstrates electrical lighting at his Menlo Park laboratory in New Jersey. At Yale University, Walter Camp writes the rules for American football.